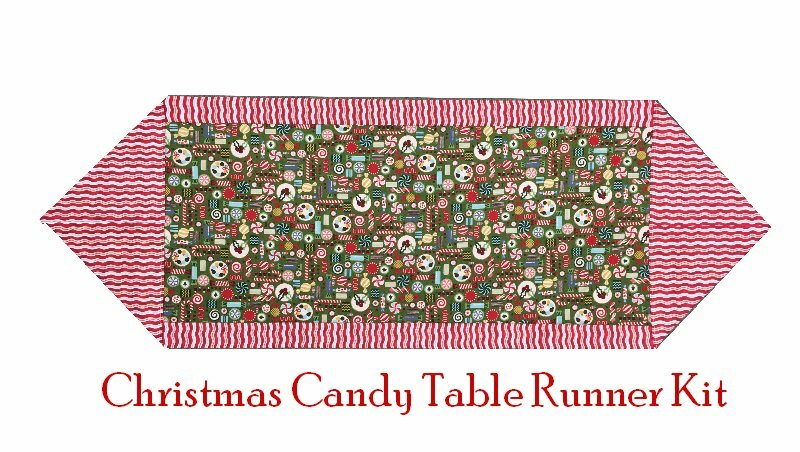 Make this Christmas Candy table runner in no time! Kit includes directions, plus fabrics for front and back. Fabric is 100% cotton, with candy canes, holly sprigs, peppermints, ribbon candy, candy cord in red and green. Finished size approximately 42" long x 14 1/2" wide.